Rubies, roses and the colour red have always been associated with love. 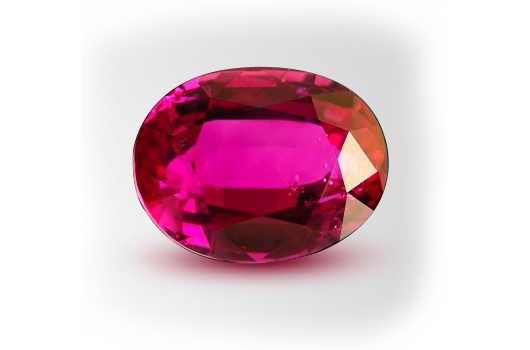 If legends are to be believed, rubies were considered to be perfect wedding stones in antiquity. Its glowing radiance suggests an inextinguishable flame which best describes the feeling of love. At 5.05 carats, the Rock of Rose in its beautiful oval shape giving it great scintillation and fire and its perfect colour makes it one the finest stones. Coming from the mines of Burma which boast of an undisputed quality, this unheated ruby presents the perfect form of love. 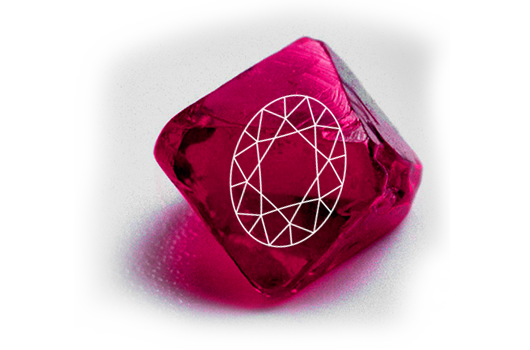 Appearing as a clear, transparent and a ruby with full brilliance, its natural beauty was enhanced with a properly faceted oval cut which not only preserves the original rough but also enhances its charming colour.